"My aim is to make changing the way you eat easy, attainable and non-threatening. I want to take food back to basics: simple, healthy, plant-based recipes, full of unprocessed natural ingredients that taste great. Just remember what you need to help you thrive (tasty, healthy recipes that increase vitality effortlessly)." (Saskia). Be fit and strong not skinny, happy not guilty with 100 healthy recipes for every day, deliciously free from meat, dairy and wheat. 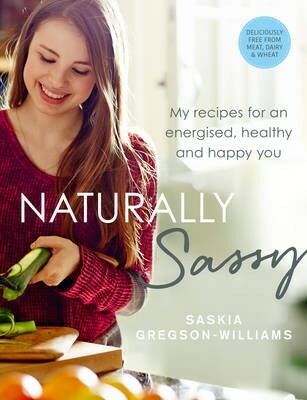 Saskia's delicious, easy-to-make recipes will prove to sugar addicts, hardened carnivores and dairy lovers that plant-based eating is delicious, fun and satisfying - as well as really good for you. Recipes are either quick and simple or can be made ahead, ingredients are affordable and easy to find, and you don't need lots of expensive equipment to make this food. As a ballet dancer, this diet gives Saskia all the energy and nutrition she needs to train, recover and perform but you don't have to be an athlete to benefit from this book. These recipes will overhaul your health, leave your skin healthy and glowing, give you energy to tackle every situation and occasion from gym work-outs to that special occasion for which you need to look for best, and give your body all the nutrients it needs to be healthy.